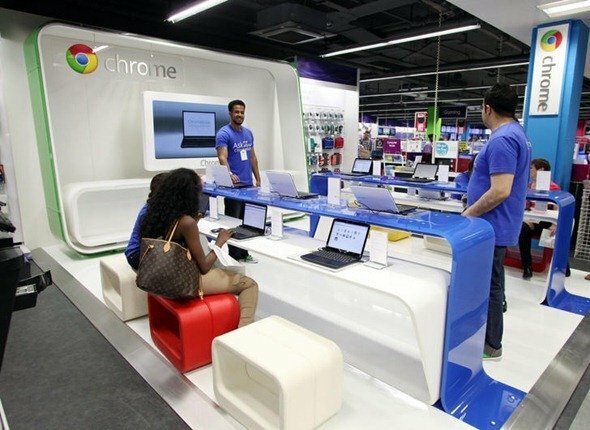 Inspired by the phenomenal success of Apple's retail stores, Google is going to build its first stand-alone store by the end of the year, according to 9to5Google. The store will sell everything from the Nexus line of Androids to Chromebooks and Google-approved accessories. Google's decision to give permanent shelter to their wide range of products was made after determining that customers would be more likely to purchase new, high-priced devices like Google Glass if they could try them out first. The company has already opened pop-up shops through telecoms (most notable "AndroidLand" through an Australian telcom) and big box retailers like Best Buy but, unlike these ventures, the new stores would be entirely Google-run. Just a few months ago, Google Shopping VP Sameer smart told AllThingsD that the company wasn't planning on being a retailer. "We don't view being a retailer right now as the right decision," he said. However, things must have changed as the company debated how best to bring products like Google Glass to customers. While Apple's high-beamed, well-lit stores have been called modern-day churches, we wonder what kind of metaphors a Google Store will invoke. 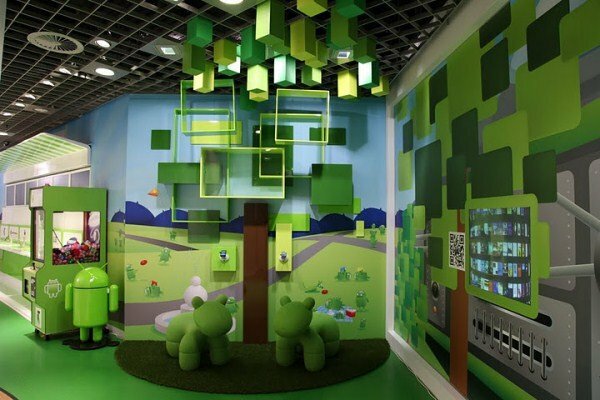 Given the awesomeness of Google's workplaces, we have no doubt the company can create an imaginative retail environment. As one commenter writes under the Verge's story, "Hopefully it will have a bakery serving the latest version of Android." Yeah, that'd be pretty amazing, indeed.